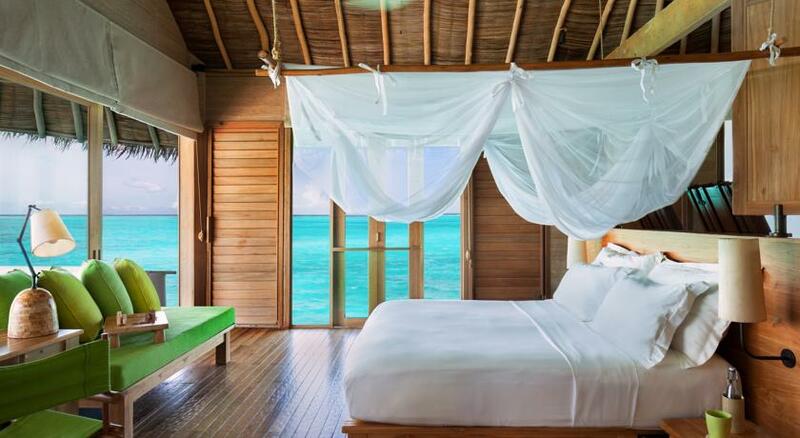 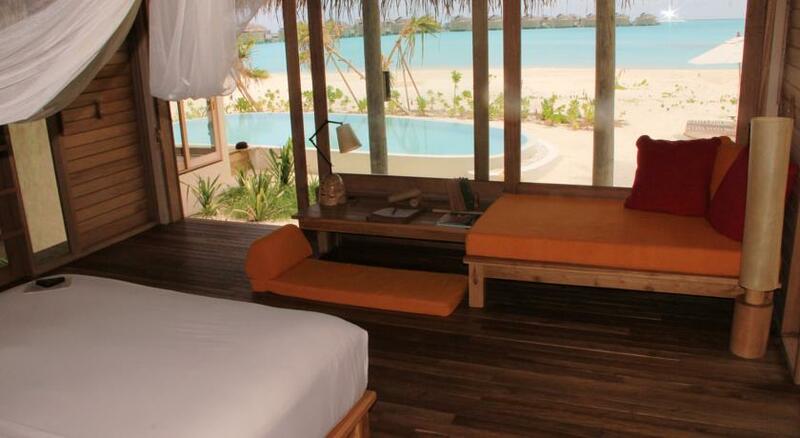 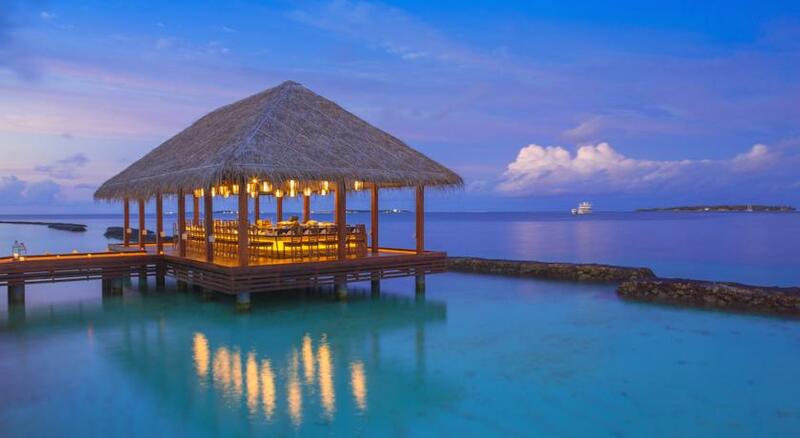 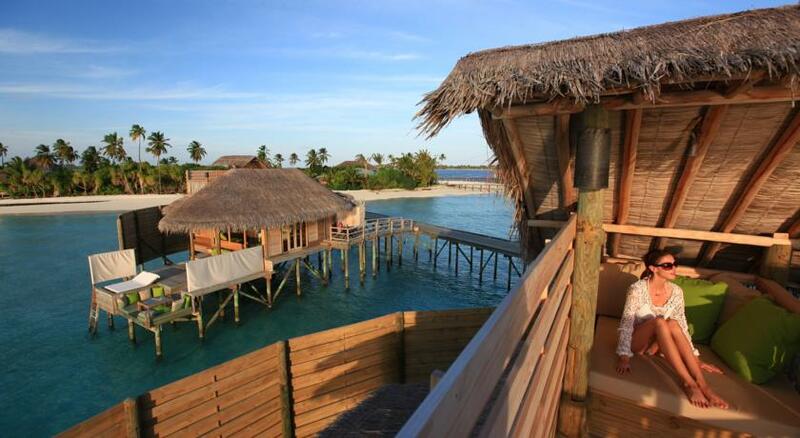 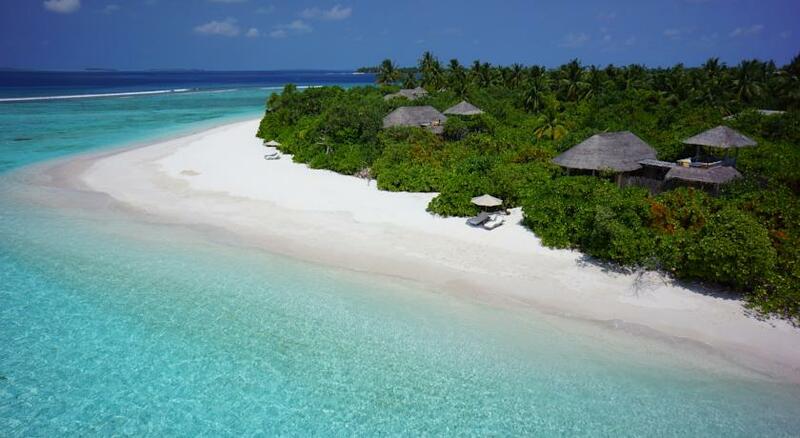 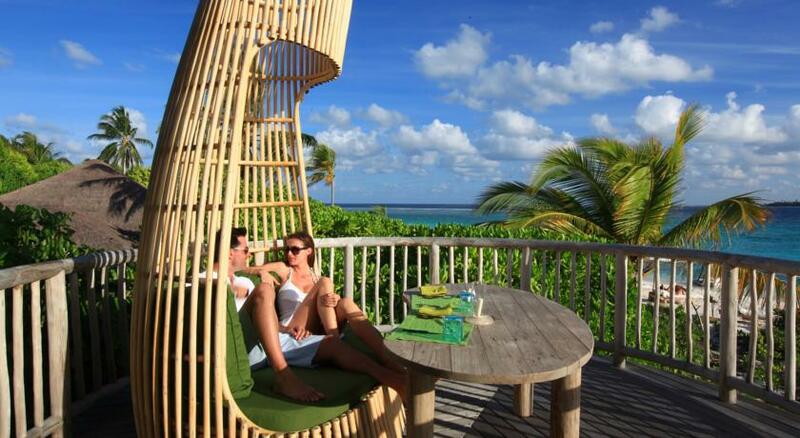 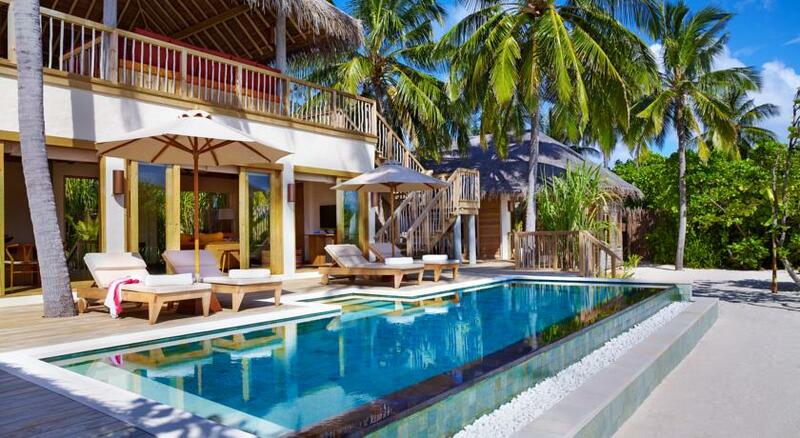 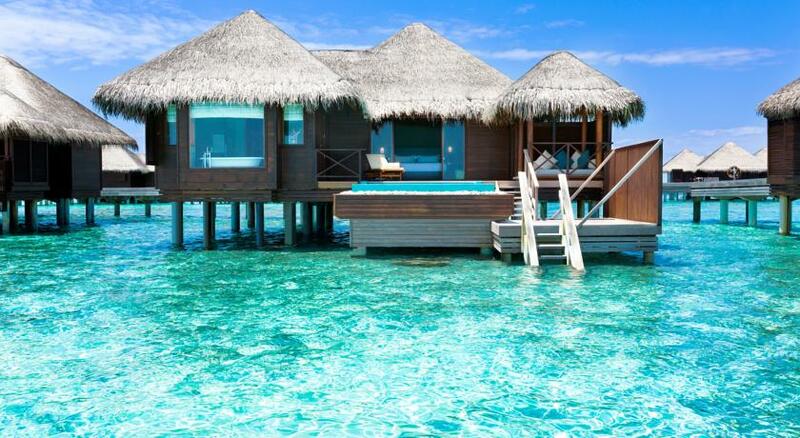 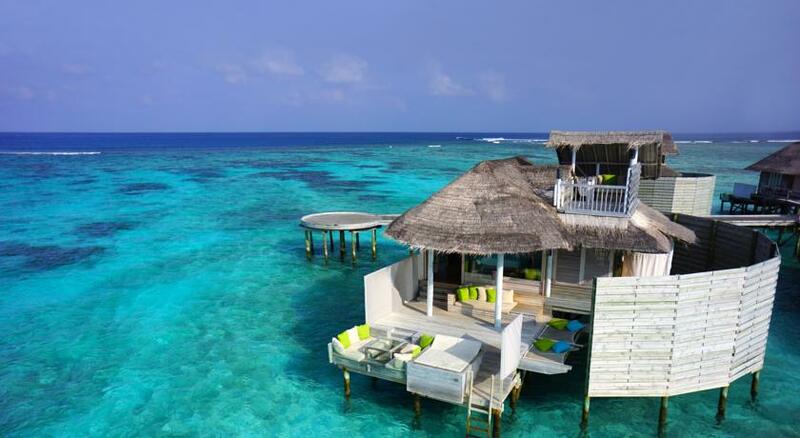 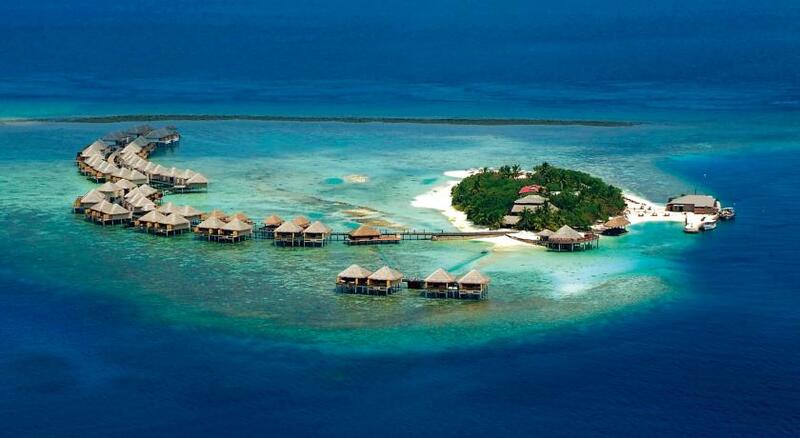 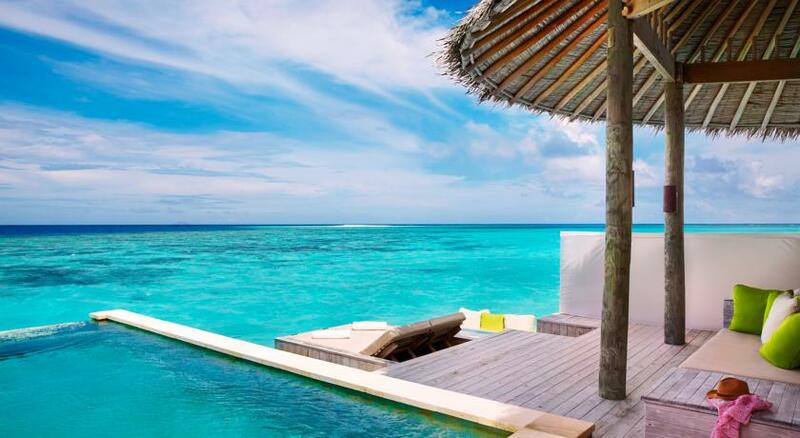 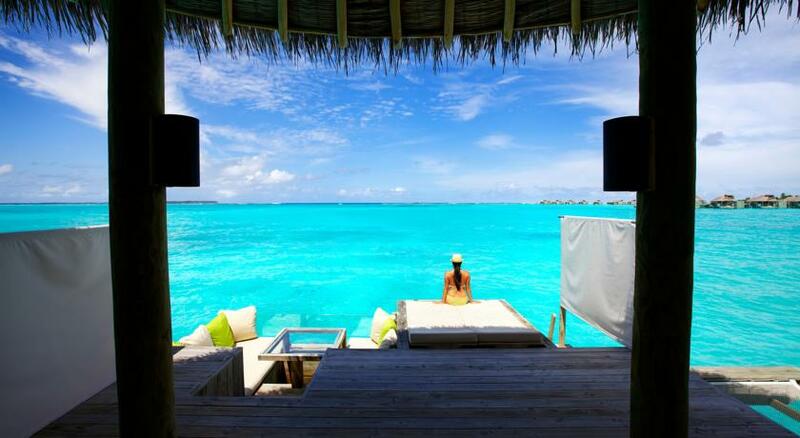 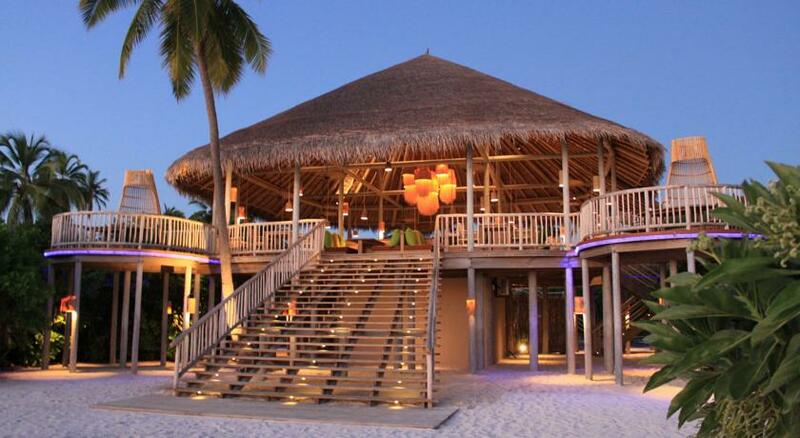 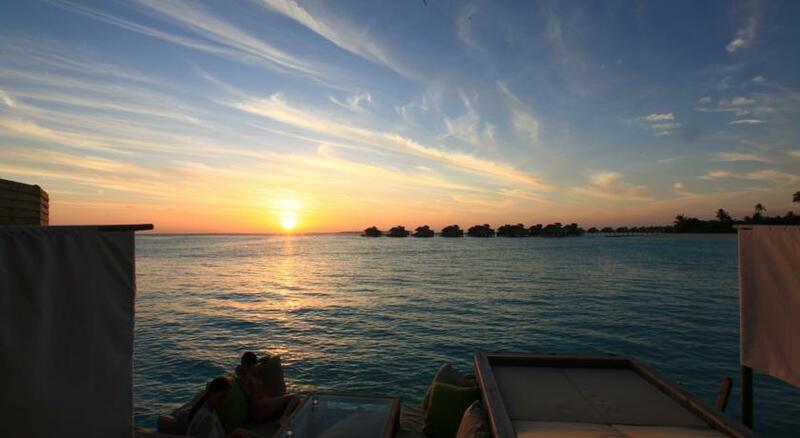 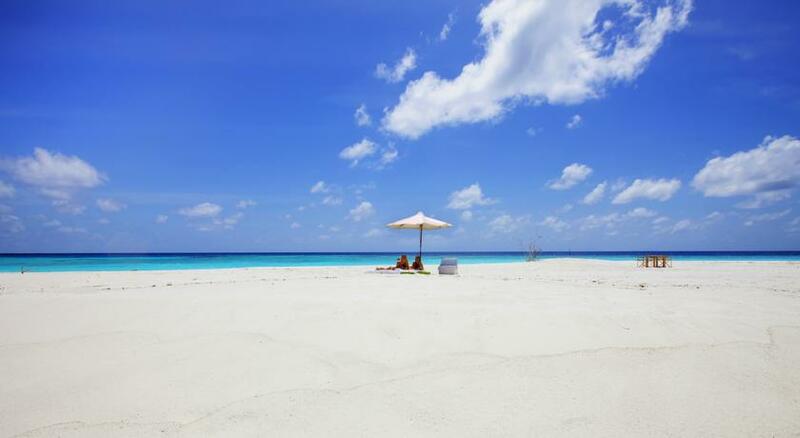 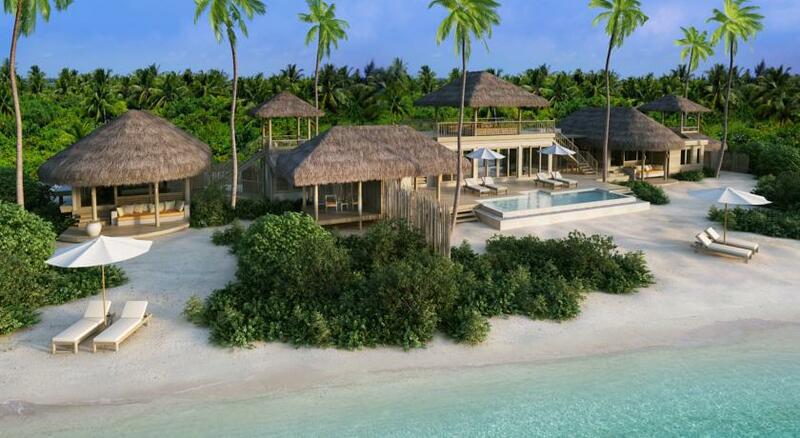 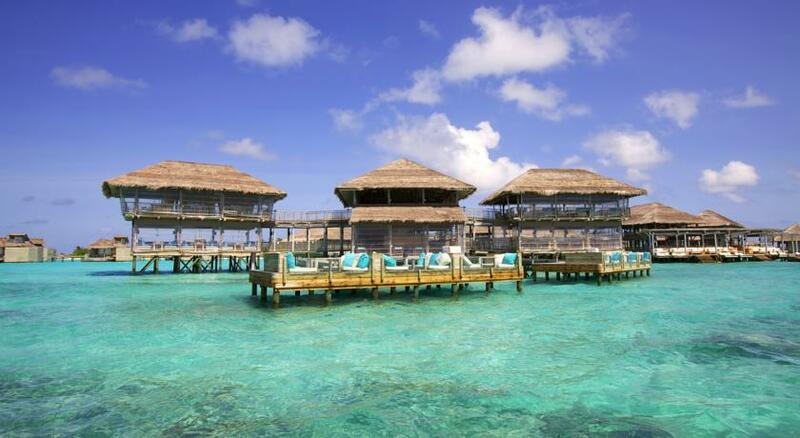 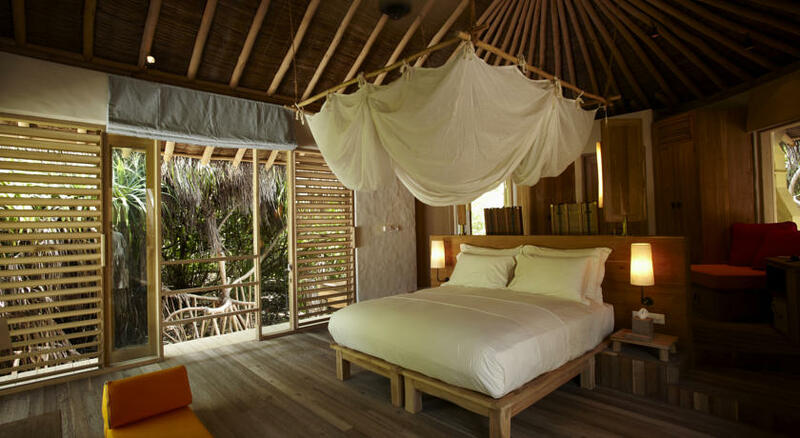 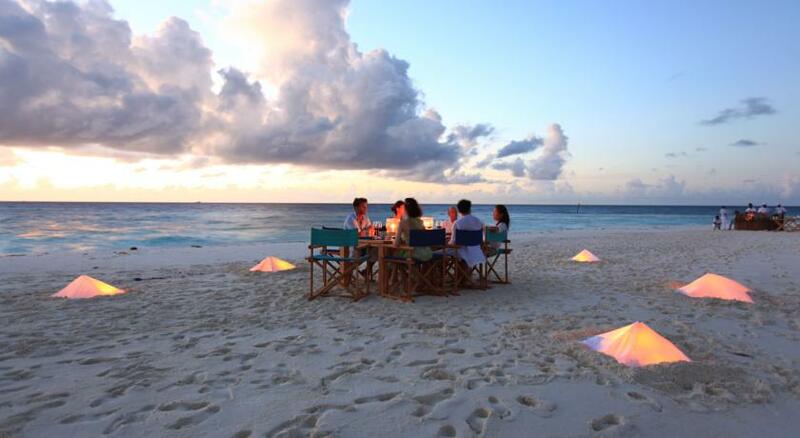 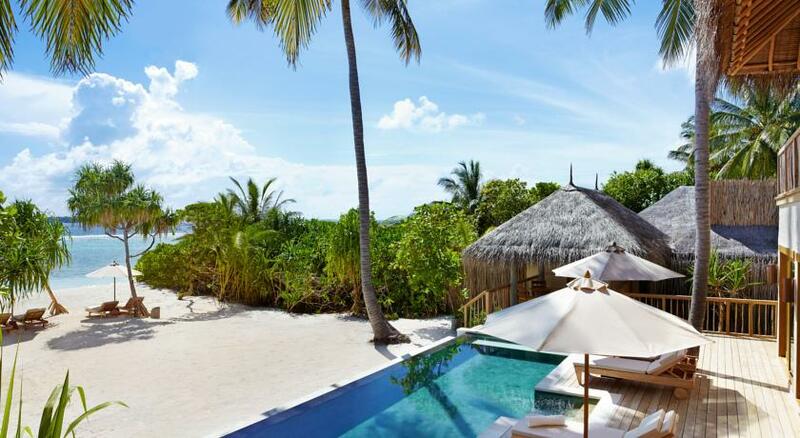 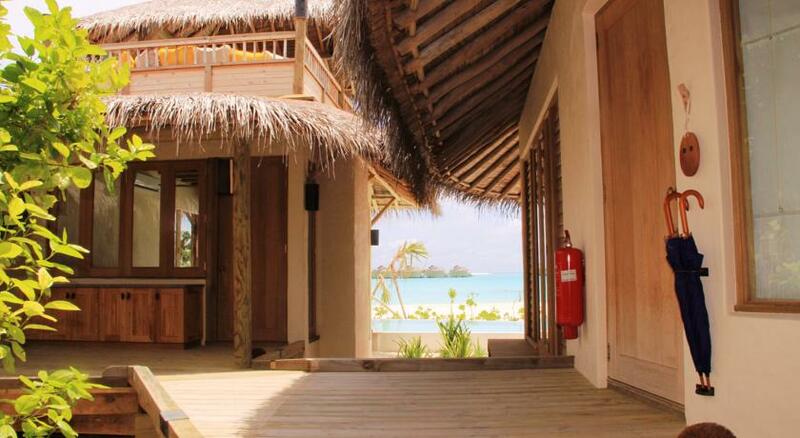 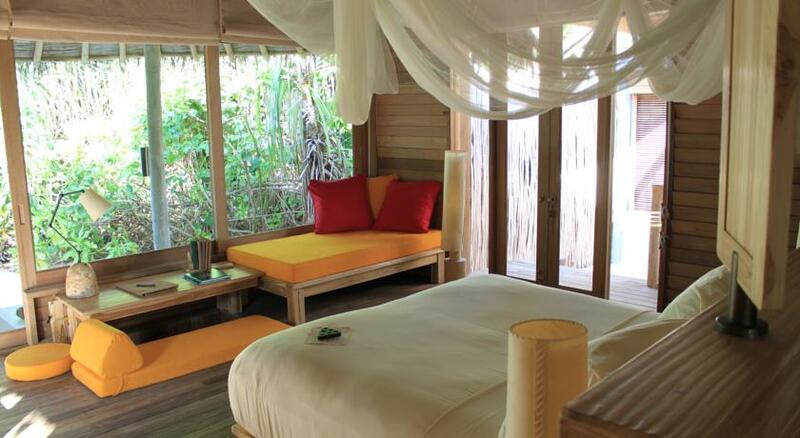 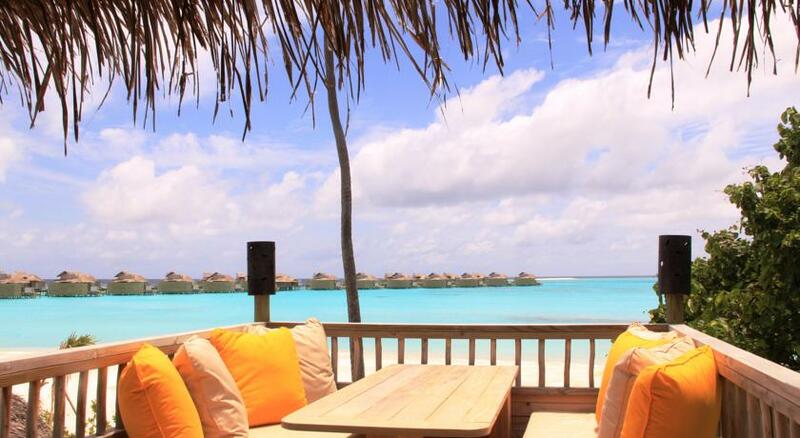 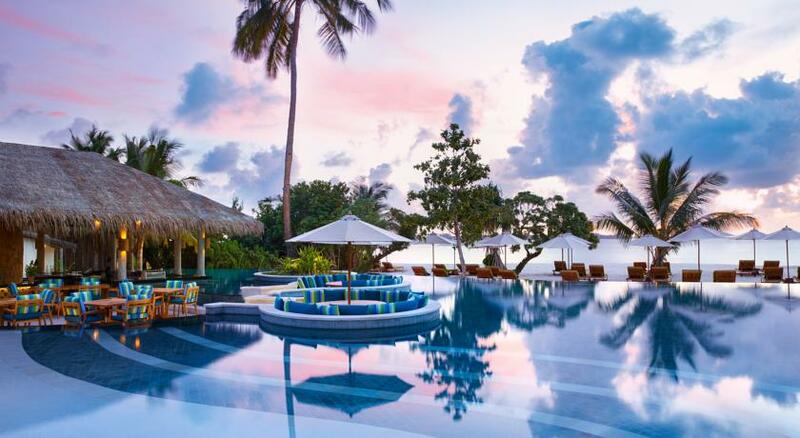 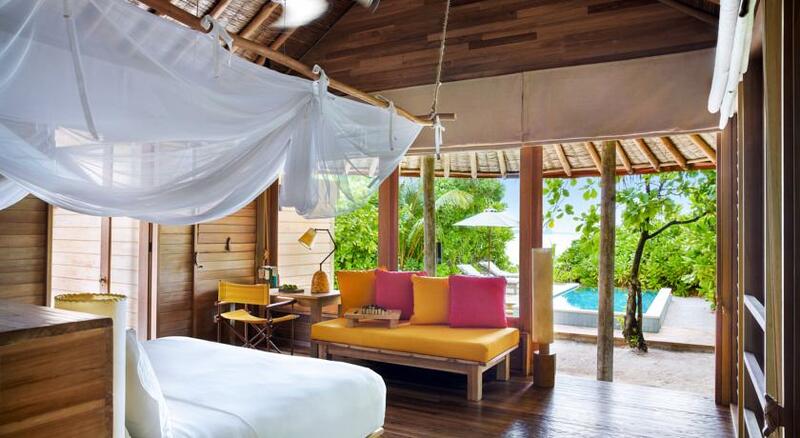 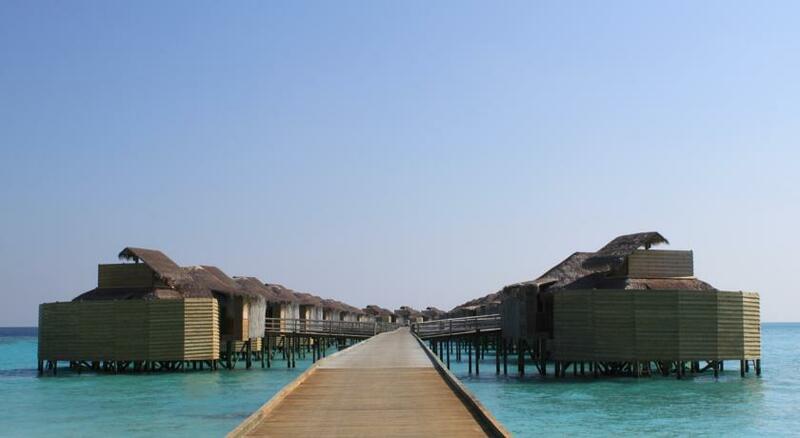 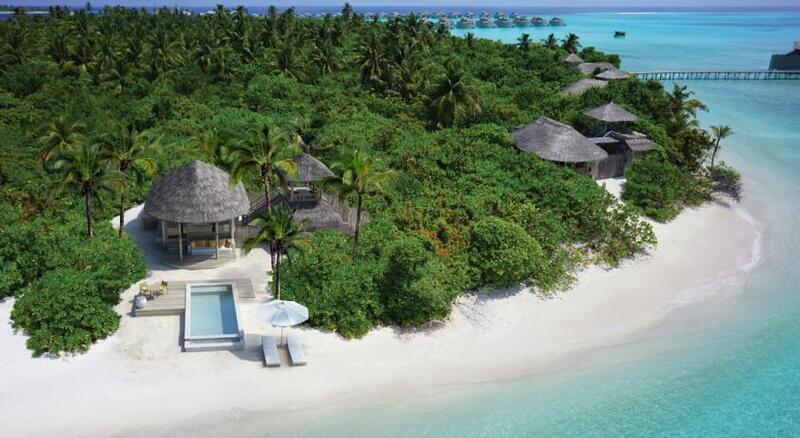 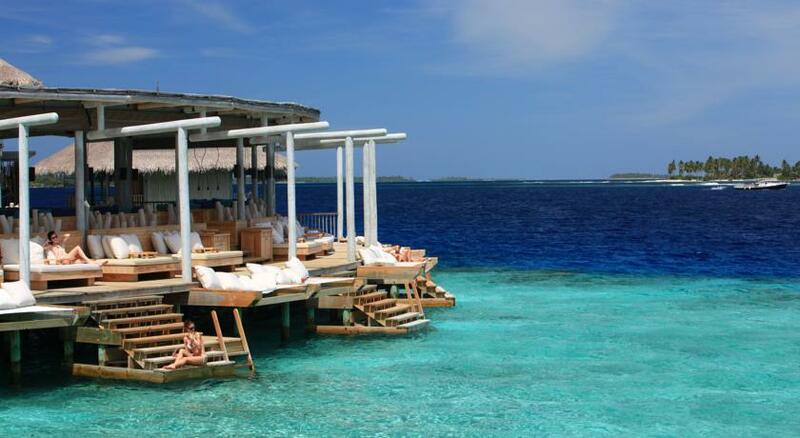 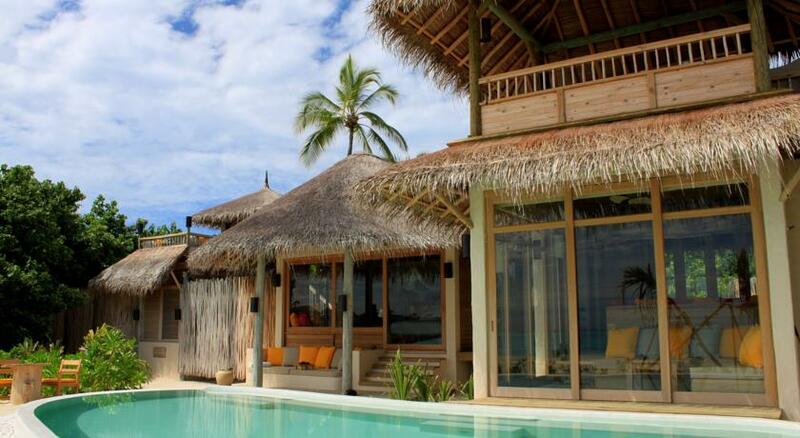 Six Senses Laamu is an eco-friendly luxury resort surrounded by clear turquoise water and white sandy beaches. 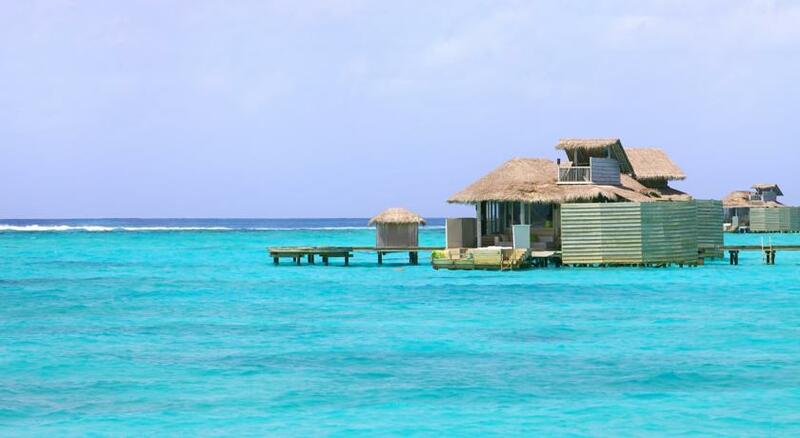 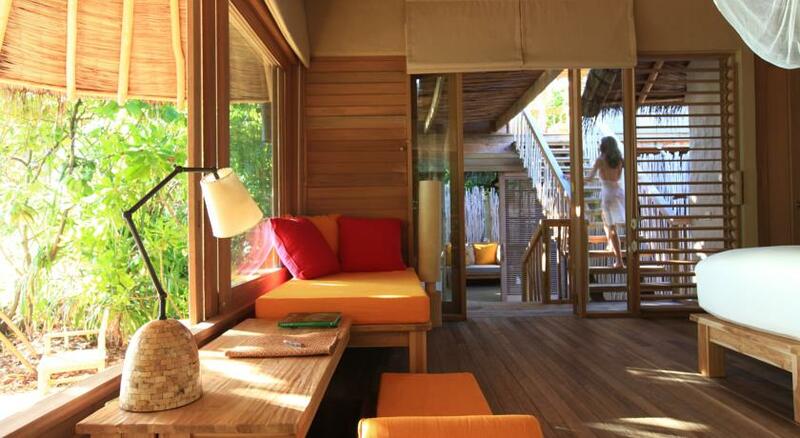 Its wooden bungalows come with an iPod dock, 37-inch flat-screen TV and Bose entertainment system. 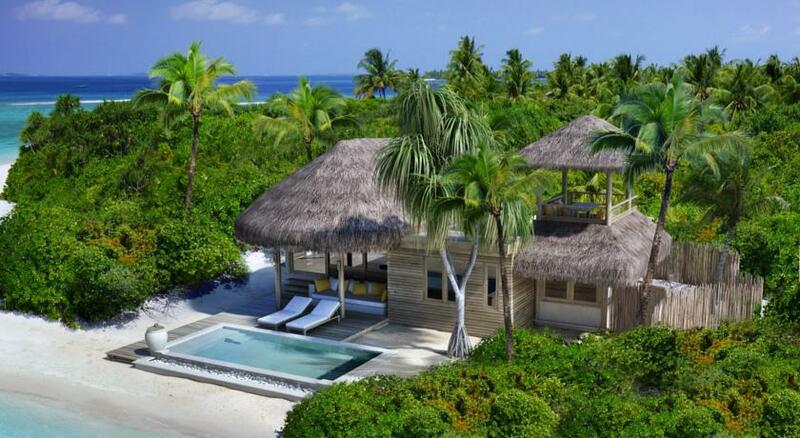 Beautifully designed, air-conditioned villas feature an outdoor bathroom with rainshower where guests can shower under the stars. 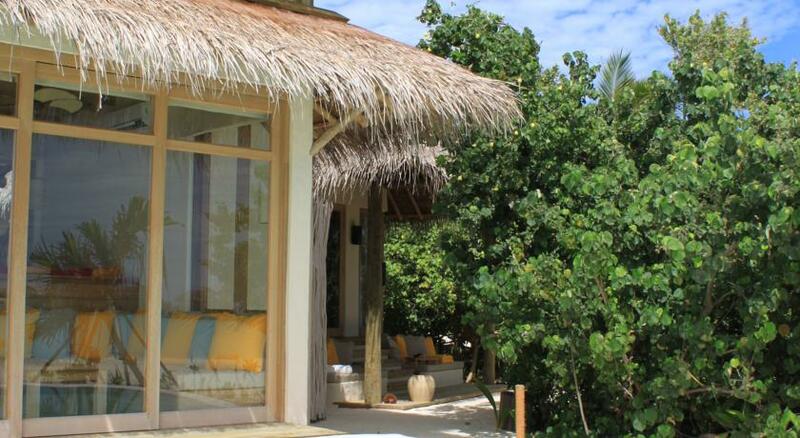 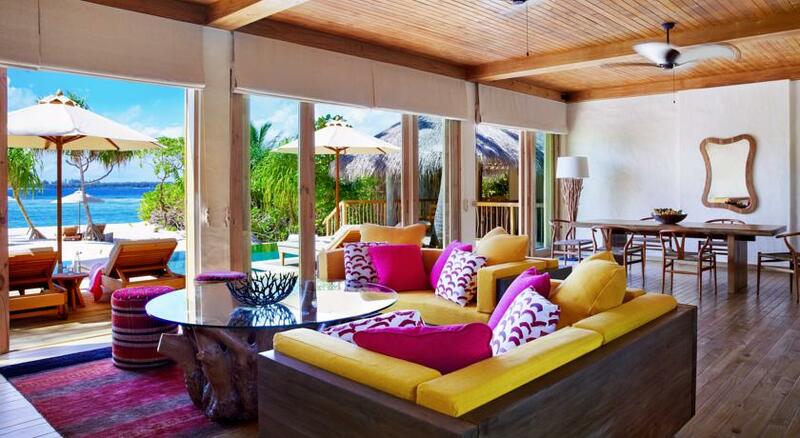 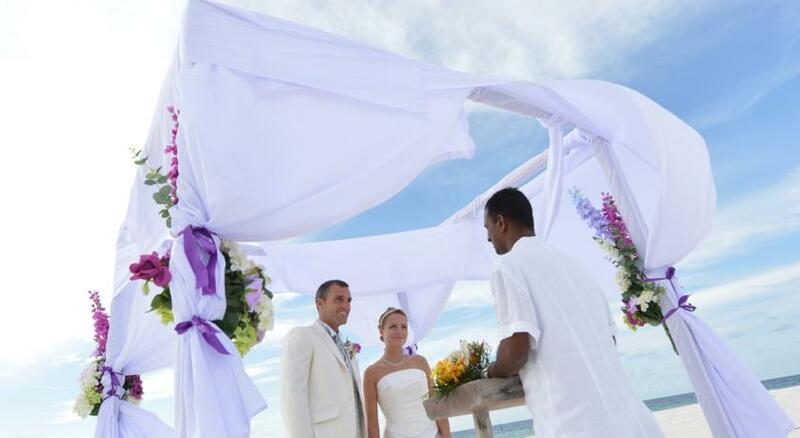 Private day beds and sunloungers lets guests enjoy the Maldivian sun from the comfort of the villas. 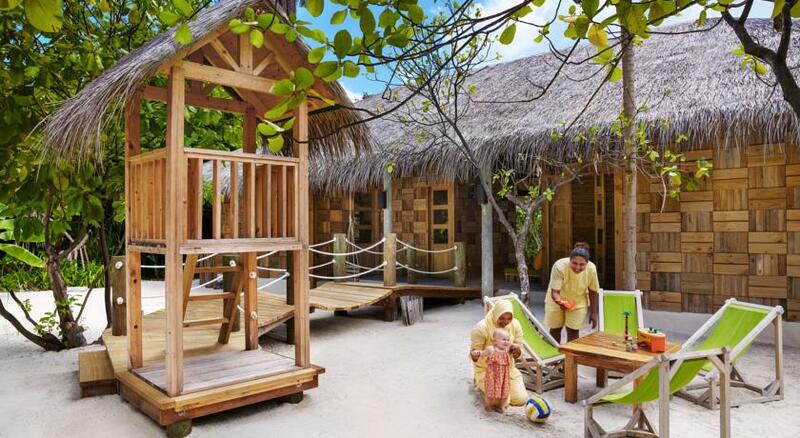 Located on Olhuveli Island, Six Senses Laamu is a 15-minute boat ride from Kadhuhoo Airport. 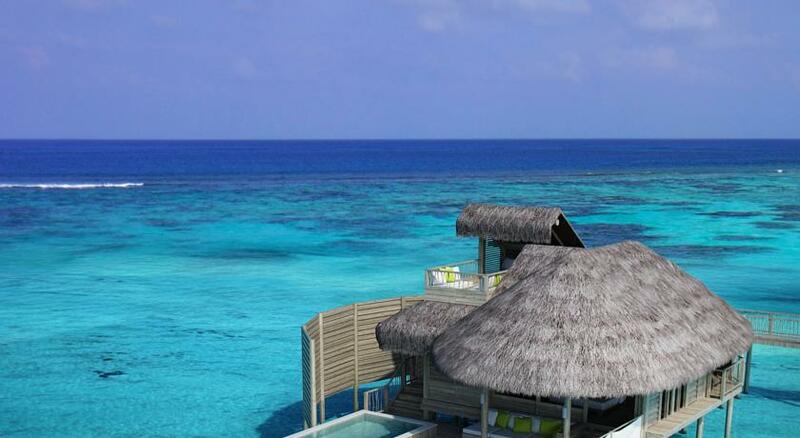 From there, it is a 40-minute flight to Male International Airport. 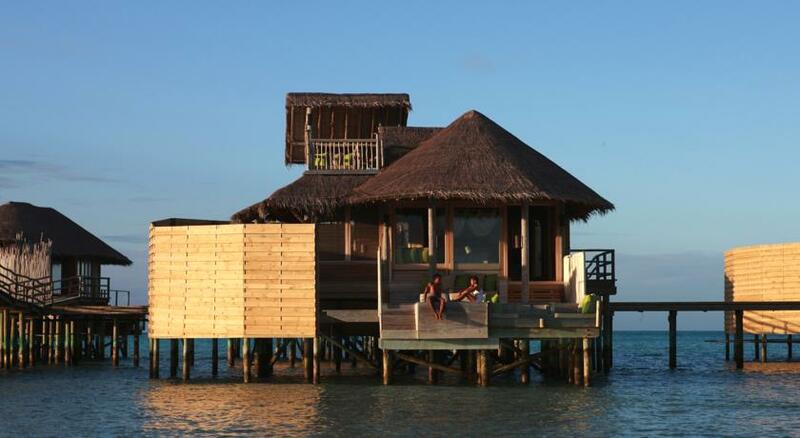 Six Senses Spa features stylish private treatment rooms, Ayurvedic therapies and relaxing body massage. 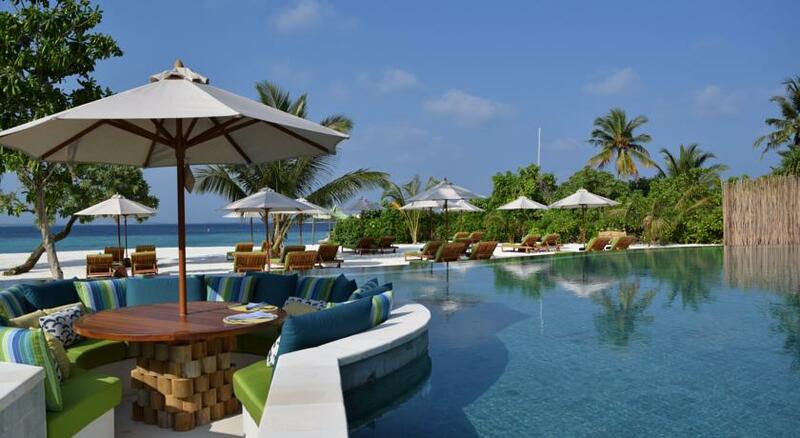 The resort also provides a modern gym, yoga pavilions and an on-site diving centre. 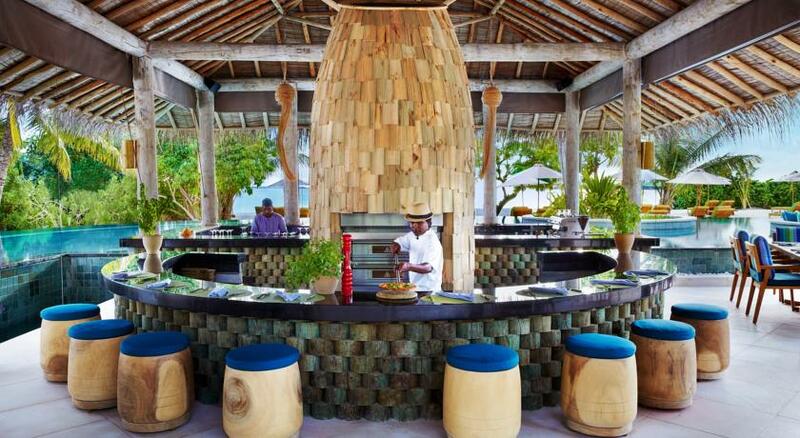 LEAF serves modern Mediterranean dishes prepared with fresh organic ingredients, while premium wine and cheese can be enjoyed at Altitude Wine Cellar. 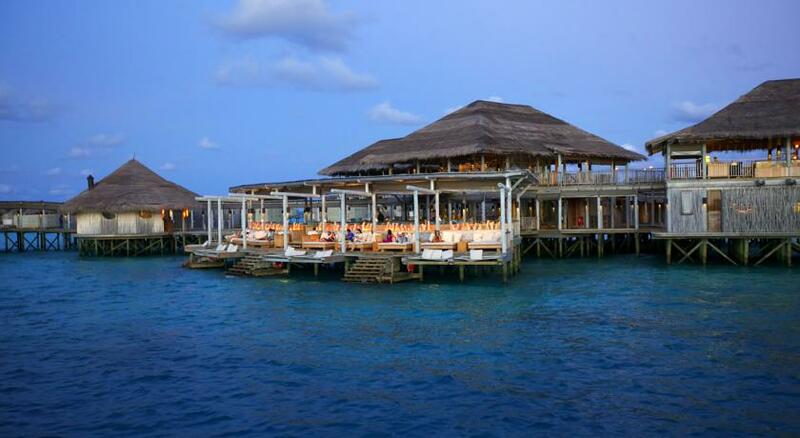 Other dining options include international cuisine at Longitude, pizza at Es'sense, desserts at Ice and drinks at Chai and Chill.